‘Remortgaging’ means switching your mortgage to another deal and/or another lender. Most people switch mortgages to get a better interest rate and/or secure a fixed rate mortgage. For example, the introductory discounted interest rate may have finished with your current lender, and you might get a cheaper deal with another lender. Other people may remortgage to raise money for home improvements or to consolidate their debts. It is worth noting that a remortgage isn’t always the most suitable option. 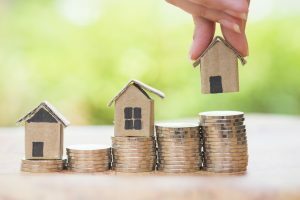 Sometimes any saving made by securing a cheaper interest rate can be outweighed by the fees incurred in setting up the new mortgage. We will do this calculation for you in all circumstances. Some people decide to reduce the years on their mortgage rather than take a monthly saving if they secure a lower interest rate.